There’s a saying that insanity is doing the same thing over and over while expecting a different outcome. On the other hand, there’s comfort in doing the same thing over and over and getting the same result. As we approach Rosh Hashanah, I’d like to suggest that we consider combining the two, taking comfort in repetition even as we hope (and pray!) for a different outcome each time. I’m often asked why, in our High Holy Day services, we repeat the same prayers so many times. 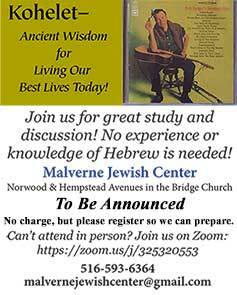 During the 25 hours of Yom Kippur–between Kol Nidre and blowing the shofar at the end of Neila–we have five services. Each has unique prayers and readings, but there’s a core that remains the same–perhaps mind-numbingly the same. Could we not come up with more unique prayers, or combine some of those services into one or two? Even three??? We could, but would that really make a difference? I can–and do–offer different melodies for certain repeated prayers and bring in alternate readings, and maybe it helps. But rather than shrink or eliminate services, how can we find meaning and inspiration from the repetition? Can we be comforted by the tradition and ritual? 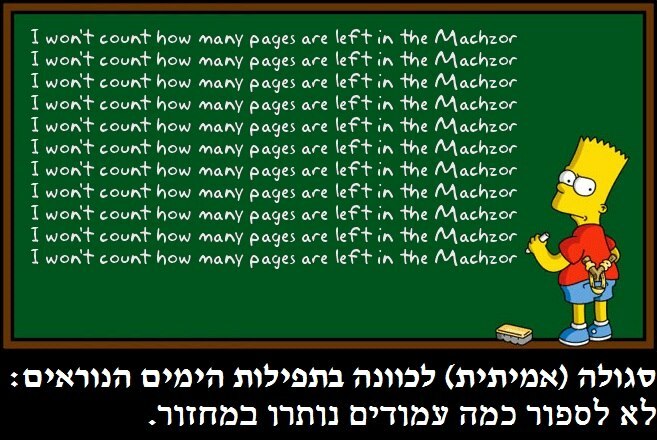 I take comfort in the knowledge that when I open my machzor to begin my preparations, that no one has secretly replaced the text. My sticky notes and paper clips are there from last year, and I can focus on how I will present the prayers this year. What will I choose to talk about? Will I introduce a new melody? How has the past year since last Rosh Hashanah changed me, and what new perspectives do I have? How have you changed? In an unpredictable world, it can be comforting to embrace ritual and tradition as a way of centering ourselves. Yes, we say some–ok, many–parts of our liturgy over and over, and perhaps there’s a reason. Perhaps the reason is that we change, and our perspective changes, as we go through the day. Something that makes little sense in the morning can take on a new meaning in the afternoon. A word or phrase may suddenly jump out. An idea may become clearer. As we begin the new year, may we be comforted by our tradition as we gain insight that will lead us forward. May you have a new year full of peace and blessing. Previous story Re’eh, what do you see?